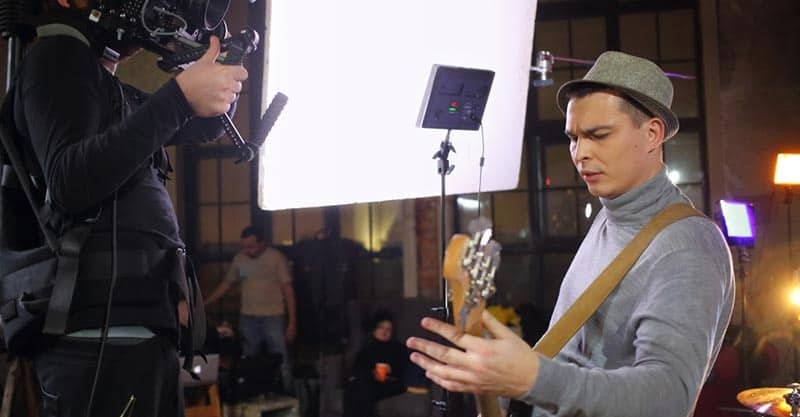 Being passionate about music and wanting to have a career in music can be discouraging at times – everyone knows how hard it is to make a go of it as an artist. It can even feel impossible at times. That doesn’t mean you should be discouraged. There are many, many jobs in the music industry that are both rewarding and stable. For many years, I struggled with the idea of being a full-time artist versus having a day job, but let me tell you – being slightly more financially stable is great for your life and your art. Having a music related job keeps you in the scene and you’ll stay surrounded by people you relate to and like. Getting a day job can allow you more financial freedom, more freedom to move and live in a city that is better for your career and can give you more freedom to make the art that you want to make. Also, dental benefits are nice. So, you want a job, you want to make music, and you want to work in something music related. What are your options and how do you get into it? If you love your local live music scene and are always hanging out at shows, you should consider learning how to mix live shows. The best way to learn is to shadow an engineer at a venue and have them explain their process. You can absolutely go to school for live audio and you’ll learn a lot. That said, the only way you’ll become a good sound tech is by doing it over and over again. You’ll learn how to mix various styles of music, different rooms, outdoors, and you’ll learn how to mix a whole night and make a show feel great for both the artist and the audience. All of this takes time, trial, and error. Ask one of your favorite local sound techs to show you around. Then, offer to do sound for a local show, rinse and repeat, and you’ll be doing sound regularly in no time. Once you’re feeling comfortable, get in touch with local sound companies. They are almost always looking for extra hands on big events. At first, you’ll probably just be a stagehand. Then, monitors. Then, front of house. There are also lots of opportunities to do sound for touring bands, corporate events, and more. It’s an intense lifestyle with long days, late nights, physical labor, and feast or famine work, but it can be fun, rewarding, and can definitely pay the bills. Believe it or not, there are still lots of jobs out there for roadies and stagehands. You have to be willing to hit the road and lift heavy things, but the work is there. Again, the best way to get into this is to start working as a stagehand or roadie for a local sound company. They always need extra hands to set up big stages and take down the stages. Once you know your way around, just start telling people that you want to work as crew on more and bigger shows – it’s a job that can be easy to get into if you’re willing to do the harder gigs that a lot of people don’t want to do. Eventually, you can land yourself a touring gig that will take you away from home for a while, but will definitely pay the bills! Teaching music is probably one of the most common day jobs for musicians and artists, just because there are so many different ways to make money in music education. Being a music teacher in elementary schools, a band teacher, or a choir director can be fantastic and rewarding jobs. I know that my music teachers throughout schools had a major impact on my musical life. That said, being a teacher is demanding. First, you’ll need at least five years of schooling. Bachelors of Music and then a degree in education. Then, you’ll need to find a job, which can mean several years of term positions and subbing – and probably teaching subjects that are not music related. It may also mean living in a different city. And, after all that, it’s a ton of work! You’re teaching after school hours, putting on concerts, promoting the concerts, wrangling kids, writing report cards, and more. You have to love it! On the other hand, it really is immensely rewarding and life-changing for students, the job is salaried and has benefits and a pension, and you get summers and weekends off. Many of my band teachers played in bands and had music projects on the go. At Music Industry How To, we’ve written extensively about teaching private lessons. Teaching privately can be a great way to make money while you are home. It’s flexible, creative, pays well, and there’s lots of work. You can offer lessons out of your home, visit students at their home, work out of an established studio or instrument store, and even offer online lessons via Skype. Either way, it’s easy to get into. You can approach a studio, show them you can play, and probably get a job. If you want to teach privately, just start advertising your services. Another great way to make money teaching music is by participating in workshops or day camps. Most cities have summer day camps where kids can jam, work on their instruments, write songs, and put together a show. Facilitating these camps is a great day job. It’s seasonal, you’ll have the weekends off, and you get to spend the whole day making music with kids. Awesome. Many cities have programs geared towards educating and encouraging low-income kids in the arts. Getting a job running these classes/workshops usually requires that you are a musician of a fairly high-caliber and potentially have a degree. But that is not always true. Running songwriting workshops usually just means that you have had some success as a writer. Either way – these educational jobs are out there and they are great ways to earn an income outside of your artist career. Labels often have a staff of people working different angles of the music industry to further their artist’s career. This includes publicity work, marketing work, A&R, radio promotion, accounting, and more. 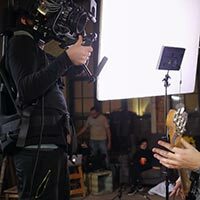 Most of these jobs can also be done outside radio – freelance publicists, radio trackers and the like all help independent artists market their music. Publicists often have a degree in communication and an interest in journalism. Starting out on the journalism side of publicity will give you a bit of a reputation, and provide you with contacts you can use to market an artist’s music. You can get job at a label, work for an independent publicity company, or work as a freelancer. Again, radio trackers often start out working in radio. Once they have a more intimate understanding of radio, they’ll move into working radio at a label, or become a freelance radio tracker. The primarily responsibility of an A&R rep is recruiting promising artists for the label. Most A&R reps for labels start out as either artists or musicians themselves. They have a keen ear for the scene, and are aware of trends. A&R is all about having great taste and a sense of what is going to work and what won’t. If you’re a great accountant and passionate about music, you are going to be well-loved. Artists are almost typically bad at managing money. Labels need accountants and so do artists – just like everyone else! There are tons of jobs in this area. Whether it’s administrative or not, music companies are real companies with real jobs. Music schools, institutions, non-profits, festivals, and others are all arts organizations in need of administrators. Administrating these types of institutions may not sound interesting at first, but they are essential. At the level of musical non-profit agencies and festivals, you need to know your stuff. You must be highly organized, have your ear to the ground of the music scene, and be able to step into creative roles and administrative roles with ease. These jobs usually require either a degree or a industry experience. 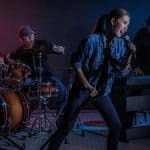 For example, if you were in a successful band or managed a successful band, you may be able to step into one of these roles without additional qualifications. Or, if you have a music degree or a music business diploma, you can start interning and work your way up! 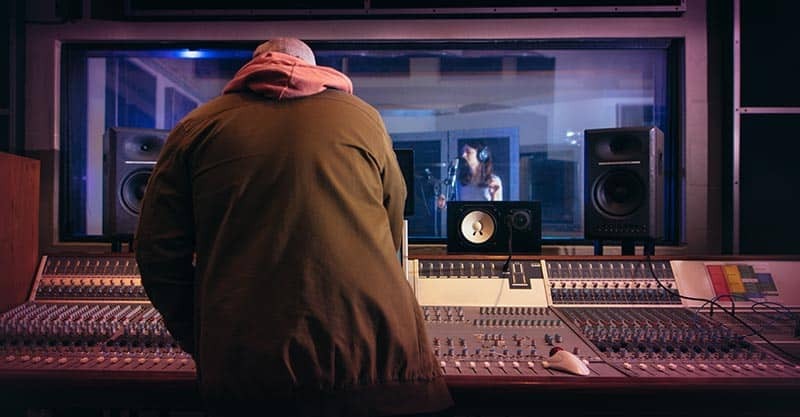 These jobs will put you in great situations where you’re meeting people on every side of the industry – artists, labels, management, and more. There is always room for energetic, organized people who love working events. Certain personalities are amazing event managers. You must be intense and organized, but laid-back enough to deal with inevitable issues. If you’re stage managing, you need to have a gentle, polite, but firm touch with artists. You need to be able to multi-task well and juggle a dozen problems at once. The best way to get into event management is by volunteering. Volunteer at local shows and festivals and put yourself in leadership situations. If you’re serious about making a career out of event management, people will recognize your skill and drive, and you’ll eventually land a gig working a big event! Event management has been rated as one of the most stressful jobs in the world. There is a lot of pressure, a lot of long nights, and just a lot to think about. One of my band mates does event management – working big festivals and concerts – and it’s intense, but he loves it. If things go off without a hitch, you get a great sense of satisfaction, but there’s also satisfaction in putting out fires! 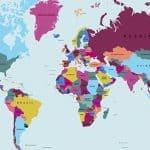 Are you always the first to know about bands coming through on tour? Do you love the grind of booking tours and shows for your band? If so, there is a wide world of work booking shows for bands who don’t want to do it themselves (or have moved on from that) and promoting bands that you bring into the city. 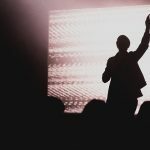 Becoming a booking agent can start by interning at an agency – you can get into this through a degree or diploma program, or by simply showing that you have the connections to do so. Or, you can start being an agent on a more DIY level. Every once in a while, an artist or their management will ask me to help book shows for them. I charge a flat rate and get it done. If you’re more interested in booking acts and putting on shows, you should start hanging out and collaborating with local promoters. Start by working on some local shows with established promoters, and then try putting on your own night. Both promoters and agents can make a great deal of money if you’re taking risks and taking on bigger acts. Being a music writer is a bit of a labor of love, but there is certainly room to make money at it. If you want to review shows and albums, write opinion pieces, and interview cool artists, then you should give it a try. Start out by contacting your local university paper and offering to write a couple of guest pieces. Then, keep your eye out for opportunities to write on a regular basis for these publications. Most universities have papers with a little bit of budget for writers and a solid arts and culture section. The pay isn’t great, but the job is. Or, you can do what I do! I write these guides, write op-eds for magazines, interview artists, and pitch stories. It’s a freelance grind like anything else, but it’s super flexible, enjoyable, and it’s just another way to get my writing into the world! Instrument repair and building is an art unto itself. There are a few ways you can get into this, but I would highly recommend going into it with some base skills. Look to take a bit of education, just so you’re working with a base level of knowledge on the instruments you’re working with. You can take courses or you can take weekend workshops. Either way, you’ll soon be able to do some basic instrument repair. Once you’ve got the basics down, offer to set up your friend’s instruments for cheap. You need to do it a hundred times to a bunch of different instruments. Eventually, you should try to get on as an assistant or intern with a luthier or an established repair shop. Music stores are a good place to start, and if you want to get a little more boutique/specialized, start looking to your local luthiers. These days, everyone is an engineer. The advent of the semi-pro home studio has put the power in everyone’s hands to make music. With this shift has come a boon of engineering schools and programs. I personally recommend spending your money slowly and building up gear instead of going to school. There are so many resources online – take advantage of this. 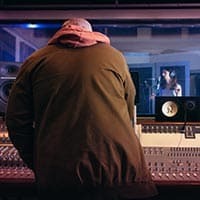 Take a $50 audio course online, and see what you can learn. Take advantage of the thousands of hours or free instruction. Most of all, just make a bunch of music. Record yourself, record your friends, record covers, mix existing songs, mix new songs, remix songs – you get it. Almost every single high-end professional producer or engineer got into their job this way. Very few went to school. Being a self-taught engineer allows you to develop taste. You’ll start to figure out what you like, what you don’t like, and how to get those sounds. As you begin to make more and more music, you’ll be able to charge more and more money. You’ll accumulate more and more gear, and all of the sudden you’ll have a nice little studio and either make a little living or have a great side-hustle. Once you know your way around Pro Tools (or a similar DAW) you’ll be able to do a certain amount of audio post-production work. Again, this requires skill and taste. Making a drum and bass track sit in the pocket. Fix a janky guitar part. Move around parts of songs. Basically, you are wiggling around bits of audio to make a song sounds smooth and professional. Learning how to use vocal tuning software can lead you to do tuning work in post. Often, people will rush through background vocals and end up with vocals that don’t sit tight in the mix. You can fix this with tuning software. At its most advanced tuning software can fix out of tune guitars and polyphonic bits of audio with out of tune notes. Assistants and interns will often be tasked with cleaning up files, organizing files, and archiving them for later. When a song is ready to be sent to a mixer, you need to do a variety of tedious tasks to consolidate the files and make it easy for a mixer to work on. Often, producers will outsource this work to their assistants. Don’t ever let anyone tell you that you cannot make a living in the arts. If you’re passionate about music, you can do it. Just let the passion carry you to the right place, with the right people, and keep that spark – don’t become cynical! The business of music is tough. Let the joy of music carry you!